They are seperated by a big chain-link fence. "You have to take that fence down and put it back where it belongs!" "Yeah? What if I don't?" 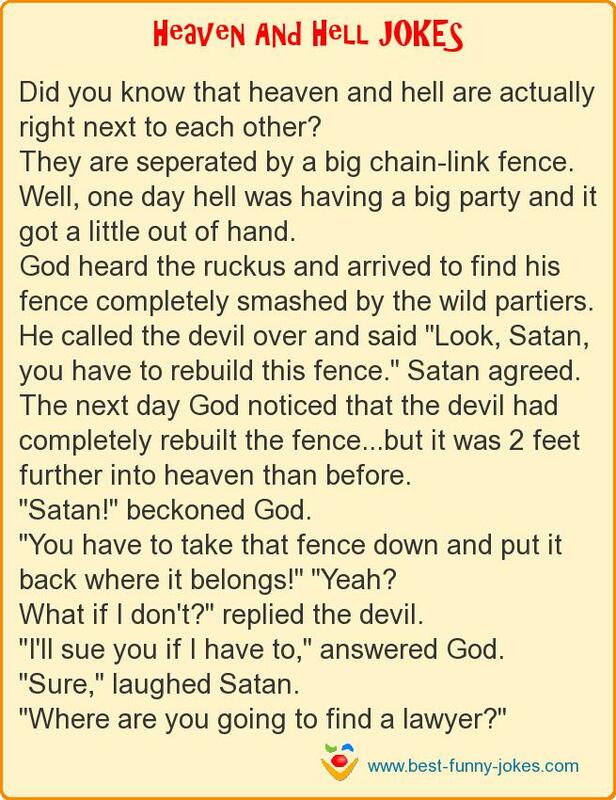 replied the devil.